Now is the time to sign up for a Sky Casino account. The site is giving away a whopping 100,000 spins to be enjoyed on some of the very best slot games around. That’s right. 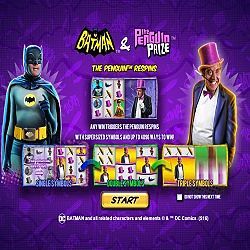 Every player who opts in and follows the instructions by spinning any of Sky’s Batman-themed slots will be in with a shot of winning a share of this jaw-dropping amount of free spins. The number of free spins that you could win is determined by exactly how much money you stake in the selected slots during the promotion. The 100K Spin Giveaway is active from the 3rd until the 15th of January. To get involved, sign into Sky Casino any time between these dates and ‘Opt In’ to the offer. Remember that it’s essential to click ‘Opt In’ before you stake your cash. Once you’ve done this, spend at least £20 by spinning the reels of any of the eligible slot games listed above. That’s all there is to it. Once you’ve completed these steps you will qualify for the promotion and your share of the 100,000 free spins will appear in your account within 24 hours of the promotion coming to an end. All registered members of Sky Casino are welcome to take part in the 100K Spin Giveaway promotion. The offer is active from 10am on the 3rd of February until 11.59 on the 15th. 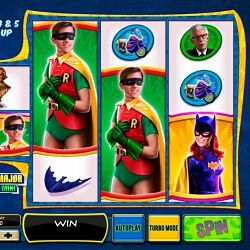 Only real money wagered on the Batman slots listed above during this time will qualify for the spins giveaway. The free spins will be shared out equally among all the qualifying players for each of the three promotion levels within 24 hours of the offer ending on February 15th. The free spins must be used within seven days of receipt. If they remain unused after this time, they will be revoked.